Holy hell, the Android-Chrome OS merger is actually happening! You want an Android-Chrome OS merger? Here's your Android-Chrome OS merger. It just might not look the way you were expecting. Hey! You -- yes, you! Didja hear? It's actually happening! For realsies: The long-discussed Android-Chrome OS merger is officially underway! Hang on -- I should clarify. 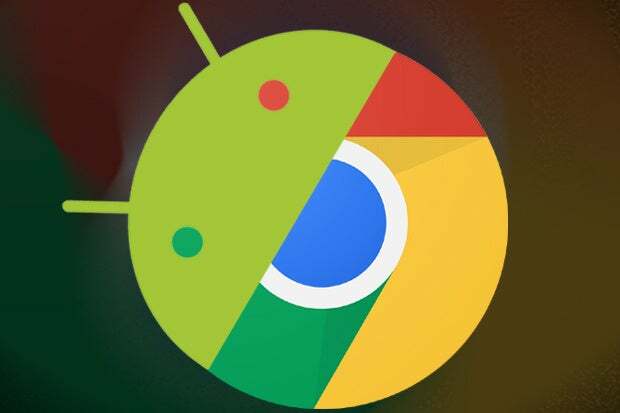 This isn't the outright combining of Android and Chrome OS that people have been predicting for ages, with ever-increasing fervor in the months leading up to this week's Google I/O developers' conference. This is the far more nuanced aligning of the two platforms that those of us watching things closely have been seeing take shape for years now. And with a couple key announcements fresh off the Google I/O skillet, the effort is catapulting forward faster than ever. There's a fair amount to wrap your head around here, so stay with me while we break it all down. The first attention-worthy shift is one mentioned almost in passing during Wednesday's I/O keynote, but boy, is it ever important: Android is adopting a new "seamless" method of updates inspired by Chrome OS. One of a Chromebook's core features is the way it silently updates the operating system in the background, in an almost invisible way -- no intrusive prompts or annoying progress bars; new updates just download when they're available and then apply themselves without any fuss when the system restarts. Starting with the upcoming "N" release, Android will work the same way: Devices will download and install system updates in the background, with a new version of the software simply appearing when the system next restarts. No long waits for downloading (that you're aware of, anyway), no endless-seeming spinning circle animation thingies, and no agonizing "Android is updating" boxes that keep you from using your phone while new software is applied. To borrow a phrase I once heard somewhere, it just works. Don't get too excited, though: While Chrome OS uses standard software and has all of its updates managed directly by Google, Android is still Android -- for better and for worse. As we all know by now, the platform's open nature means manufacturers can modify the software as they wish, adding or changing features and putting their own (frequently unnecessary) stamps on the user interface. That can be a good thing at times; it's led to a lot of innovation, evolution, and adoption the platform wouldn't have otherwise experienced. But it also, of course, inherently means that it's up to each manufacturer to process each OS update from Google, do whatever it wants with the software in terms of customization, and then get it out to its own customers in whatever time frame it deems suitable. And that part of the process isn't going to change. What will change is that once an update is prepared by a manufacturer (and approved by a carrier, if relevant), the act of applying the software to a device will be far less cumbersome. That shift follows a theme that's going to be central to our discussion today: Android is still Android, but it's gaining an element from Chrome OS that'll make it better while also bringing the two platforms closer together in appearance and behavior. And hold the phone: This is just part one. The second noteworthy shift is on the other side of the border -- and it has the potential to be even more significant. We first saw signs of this next piece of the puzzle a few weeks ago, when some attentive Chromebook users noticed a new prompt popping up on their systems. The prompt seemed to promote the full store of Android apps becoming readily available for use on Chrome OS. A session expected to occur at Google I/O on Thursday, following a mid-morning session entitled "Coming to a Chromebook near you"
As I noted when we first discussed this move, Google's been experimenting with making Android apps available on Chrome OS for a couple of years now. And while the selection of available apps has thus far been carefully curated and limited in scope, it's been clear from the get-go that we've been looking at a first step toward a much broader goal. A Chrome OS-Android merger is actually happening right in front of our eyes, folks -- and it has been for some time. Just not in the form some people were expecting. Say it with me this time, my friends: This is it. This is the merger. It isn't about a one-or-the-other combining of the two platforms but rather a convergence that brings the best elements of each platform into the other -- and increasingly makes the two operating systems feel more consistent and connected. The "merging" of Android and Chrome OS actually dates back to Google I/O 2014, when then-newly-appointed Google mobile chief (and now CEO) Sundar Pichai showed off the initial cross-compatible app effort and opened the door to even more platform-to-platform alignment. In the months that followed, oodles of Android-like Material Design made its way into Chrome OS, ranging from the system's Calculator and Files apps to its Google Now-incorporating Android-like launcher. The Android-associated Roboto font became Chrome OS's default, too, and just in the past few weeks, the entire core Chromebook operating system got a Material-esque makeover that brings it more in line with the visual style mobile users are used to. The question everyone always asks is whether Google will somehow "merge" Android and Chrome OS into a single product at some point down the line -- but that question may be missing the mark. While anything's certainly possible, it appears the current strategy is to make the two platforms more consistent and connected and to use Android's strengths to bolster Chrome OS's capabilities. With a little help from its robot-themed friend, Chrome OS can evolve from a strictly Web-centric desktop OS into an all-purpose computing solution that delivers the best of both worlds. The "one-or-the-other" narrative is a stubborn beast, though, and predictions of one platform's demise weren't about to die down. The thread picked up pace again in recent months, with The Wall Street Journal starting a string of reports that Google planned to "fold" Chrome OS into Android. Android had won the "battle" of the two operating systems, the publication's sources said, and would emerge as the victor in a winner-takes-all knockout. Google didn't take long to counter the report, but questions lingered -- and so I asked Hiroshi Lockheimer, the company's chief of Android and Chrome OS, about the topic when he appeared as a guest on my Android Intelligence podcast in March. Lockheimer didn't dodge the question. He told me that the situation is "definitely not binary," as some people paint it to be, and that the two platforms "co-exist beautifully" and have their own unique purposes. "[The different types of devices] all work great together," he said, "and it's not like I have to choose one or the other. They serve different needs, and that's how we see it and I think that's how it will continue to be going forward." He mentioned, too, that Google would keep bringing the best attributes from Android into Chrome OS and that -- wait for it -- we might soon see attributes of Chrome OS starting to show up in Android as well. See how this is all coming together? Remember, too, that Chrome OS is just a step beyond Chrome -- Google's widely adopted cross-platform browser. And remember: Google's goal as a company is ultimately to get you to spend more time using the Internet and thus Google services, regardless of what kind of device you carry. That's how Google makes its money, and that's why Google has always had a largely platform-agnostic approach to development. That perspective helps illustrate the importance of Chrome OS to Google -- an importance that would logically exceed any concern over the supposed "messiness" of maintaining multiple platforms. Think about it: Chrome OS and Chrome the browser already share native support for things like the ability to edit Office files within a tab. Once Google has a large number of Android apps running on Chrome OS, what would stop the company from eventually offering that capability within the regular Chrome browser on other operating systems as well? It's also worth pointing out that Chromebooks genuinely do appear to be more than a flash in the pan when it comes to user adoption. Just this morning, word came out via research firm IDC (which is owned by the same parent company as Computerworld) that Chromebooks had actually outpaced Macs in terms of U.S. shipments for the first quarter of the year, with education-related use seen as being the primary driver. With that context in place, it'd be rather strange to see Google suddenly give the platform the pink slip -- wouldn't it? Still, the "only one platform can survive" talk isn't likely to go away anytime soon -- and hey, who knows? Maybe there is some top-secret plan to fully combine Chrome OS and Android into a single entity at some point in the future, and maybe everyone really is going to great lengths to keep it under wraps. Despite what you may have heard -- erm, you know, a minute ago -- I'm no prophet. Heck, I'm barely even a wizard. But maybe, just maybe, we're looking a little too hard to find a smoking gun where one doesn't actually exist. Maybe things aren't as black and white as they initially appeared. Maybe for now, the grand master plan is, in fact, to "merge" Android and Chrome OS in a way that keeps both platforms intact -- and allows Google to reap the benefits of serving multiple markets and multiple types of mobile computing needs. That notion made an awful lot of sense two years ago -- and with everything that's unfolded since then, it sure seems to make even more sense today.